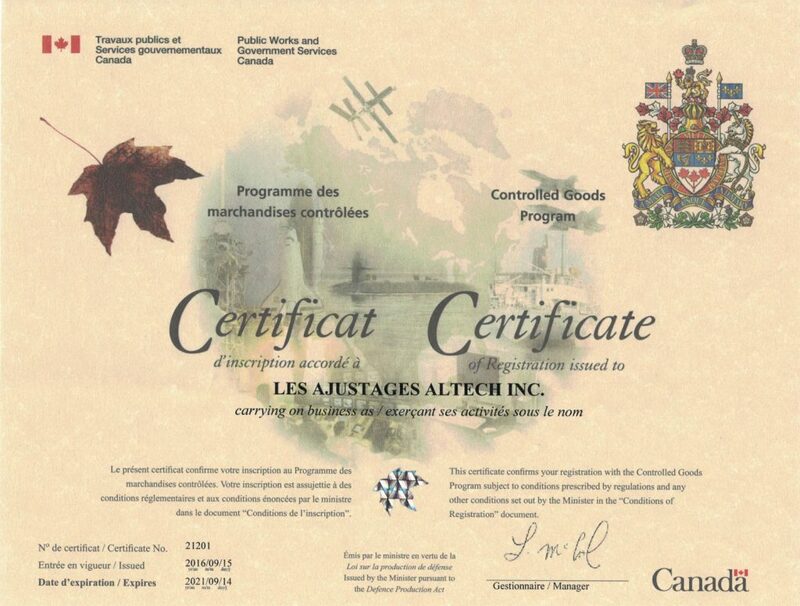 Les Ajustages Altech | Quality Quality – Les Ajustages Altech inc.
Quality control is incorporated into each operation and meets the highest standards in the industry. 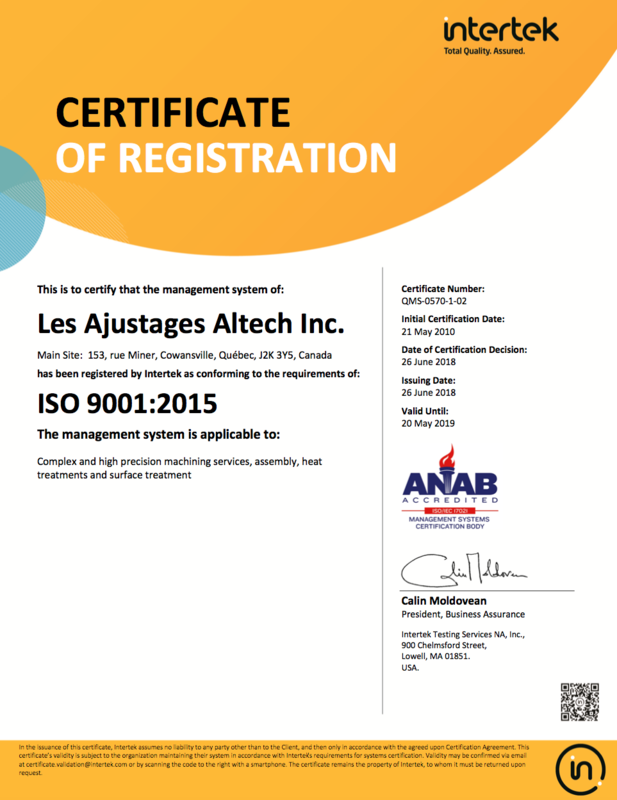 Ajustages Altech is accredited ISO 9001-2015 and also certified by Controlled Goods Directorate (CGD). Ajustages Altech is committed to satisfy the need of our customers, to respect the delivery deadlines. We should be your first choice for the realization of your machining projects.